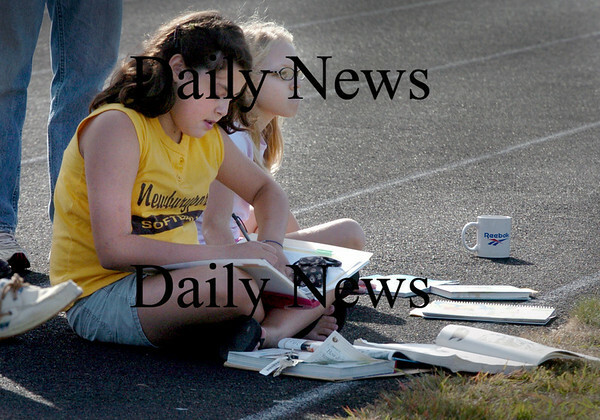 Newburyport: Helen Jone, 10, left, and her sister Julia, 9, get some homework done at Fuller Field in Newburyport on Wednesday afternoon. Their sister, Elizabeth, is on the high school varsity field hockey team which was hosting North Andover. Bryan Eaton/Staff Photo Newburyport News Tuesday September 9, 2009.